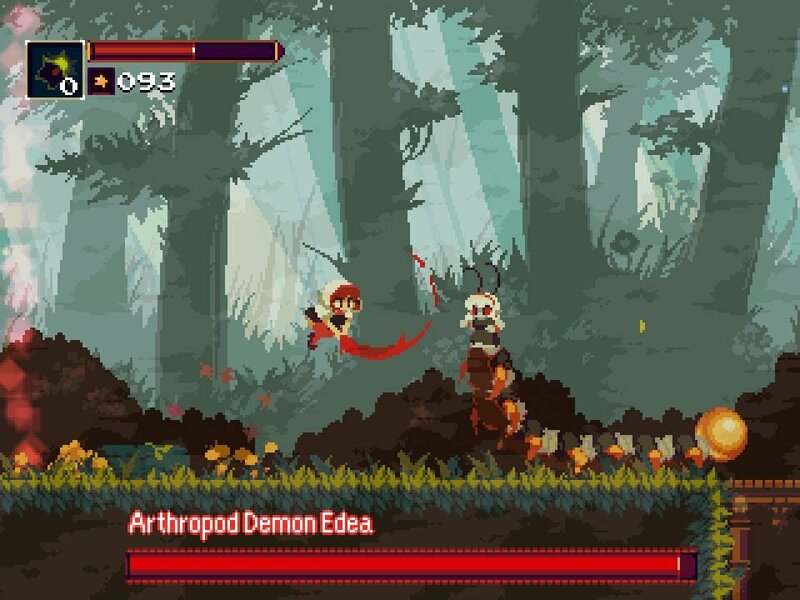 Momodora: Reverie Under the Moonlight is the fourth title in a series of Metroidvania games most people probably aren’t familiar with, myself included. The series started with two free indie games before the third became a paid product for PC. Thankfully, this latest release is the first to come to consoles and requires no prior knowledge of the events of the previous titles. 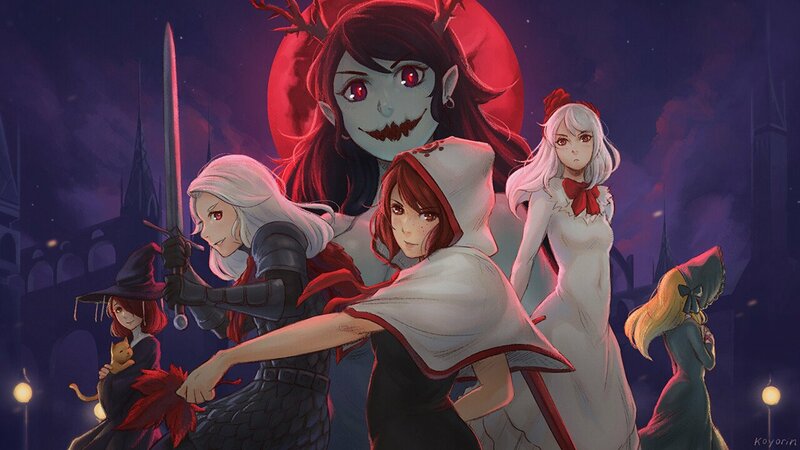 Even with this relatively fresh slate though, the story of Momodora: Reverie Under the Moonlight leaves a bit to be desired. It starts abruptly with a priestess named Kaho being led into the woods and given a leaf to use as a weapon. It is briefly explained that there is some kind of curse over the land, and you’ve got to do what you can to save the kingdom. Aside from that, only a few instances of any type story exist in the game, and mostly through short dialogues with NPCs, which don’t reveal much. For the most part, the entire story is “save the land, kill the bad guy, also we are characters that exist, hello.” I can’t help but feel perhaps I’d have appreciated the different races of characters and grasped the story a bit better if I played the previous games, but I can’t speak on how much focus was given to that aspect in other titles in this series. Plot aside, the combat is where Reverie shines. By default, Kaho starts with a double jump, a dodge with invincibility frames, a melee attack with her leaf, and a bow and arrow. Fighting enemies with a melee attack will potentially stun them in a flinch animation momentarily. Some enemies require quick dodges to avoid their projectiles, or can only be damaged from the back, meaning players will have to get extremely comfortable with all the movement mechanics, especially to take down bosses. The first half of the game has some cool bosses in it like a centipede woman and a giant antlered witch with large breasts that towers over Kaho. Sadly, the later half of the game relies on human bosses which aren’t nearly as visually interesting, and even less unique in combat. The quality of boss fights varies greatly as well, as some can be slain quickly just but crouching and rapid firing arrows at them from afar, while others demand proficiency of the controls which makes for some satisfying fights. Players won’t have to worry about that for too long though, as the game took me roughly two hours to complete (there is a new game plus mode for those looking to milk a bit more playtime). The map is rather small in comparison to other games in the genre as well, but it can be explored freely for the most part, with only the last area locked behind items. While this is nice, it is a bit jarring at first to just be set free to do as you wish with no real goals in mind. Most Metroidvania titles require collecting a new weapon or upgrade to advance, but here the upgrades to your arsenal are all optional, just like most items. At the very least, this aspect of the game feels like something different in a good way by comparison to other titles, and one I quite enjoyed after realizing there was no right or wrong order to explore the map. While the game is small, I didn’t experience any bugs except. Still, there were a few things that felt like they could have used some more polish. Some areas of the map have little to no music, maybe just a bit of ambient noise but it’s faint enough to miss. A little more music would have gone a long way. 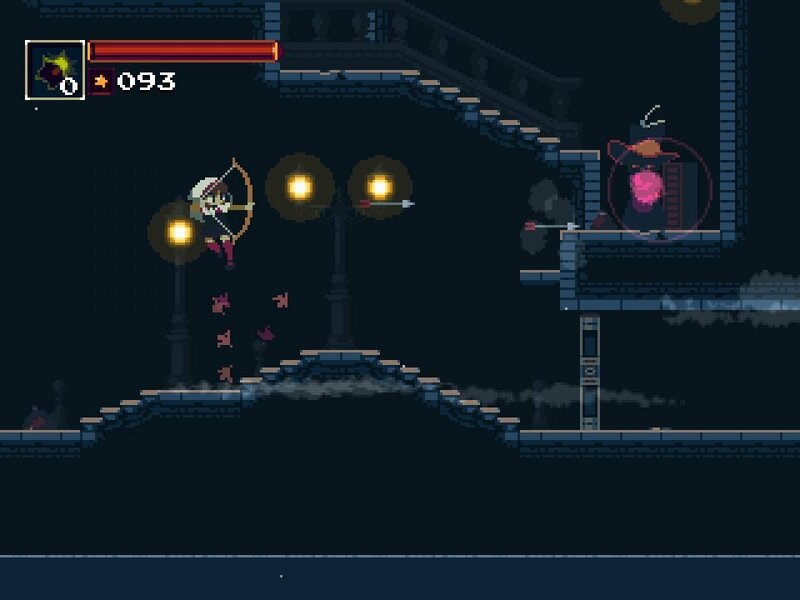 I quite enjoyed my short time with Momodora: Reverie Under the Moonlight, even if it is quite short and simplistic. However, as I’ve played a ton of Metroidvania games in my time, I can say with authority that this is one of the weaker titles in the genre as it lacks any real substance or character aside from some fun combat and a couple interesting bosses. With a deeper story, more interesting bosses, and a bigger map I could see the next game being a smash hit, but this one feels more like a bite-sized entry into an unknown series on the cusp of greatness.